Q. I have just installed Joomla but it does not work, why not ? Your Host's CP has a Joomla install link and you did not use it. You uploaded the Joomla Files/Folders in the folder containing them and not just the Files/Folders themselves. And you are pointing your browser at the wrong directory. The installation folder has not been renamed or deleted. The configuration.php-dist file has not been renamed to configuration.php. The configuration.php has not been edited correctly or not edited with a plain text editor. The Sample data was not installed. The FTP layer was not enabled during installation. (If this is your first time at installing Joomla on a remote server and you have tried correcting the errors in 1-4. Or even tried reinstalling with the Sample data to No Avail, then try the following). Delete all the Files/Folders on the remote server, if any files or folders will not delete then contact your Host. They will be able to reset the permissions. Drop all the Tables in your database. If your Host's CP has a Joomla install link, use that to install Joomla. If your Host's CP FTP allows unzipping files on the server then upload the Joomla instalation zip file and unzip on your server. Open your browser and enter your sites URL. At the FTP Configuration screen just click next. At the next screen fill in the required information and install the sample data. At the Finish screen (before you go any further) re-open your FTP client and delete your installation folder. Return to your browser and finish the installation. 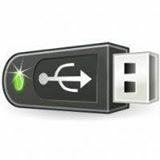 Unzip the Joomla zip file on your PC. Upload the Joomla Files/Folders (not the folder that contains them) to your remote server. Open your browser to your site (and directory if you put the Joomla Files/Folders in a sub directory), and follow the instructions. At the FTP Configuration screen set Enable FTP file system layer Yes. And in the Advanced settings, set Save FTP Password Yes. Replace 127.0.0.1 with www.yoursitename.com in the FTP Host box. And enter your FTP user/password. At the Main Configuration screen install the Sample Data.